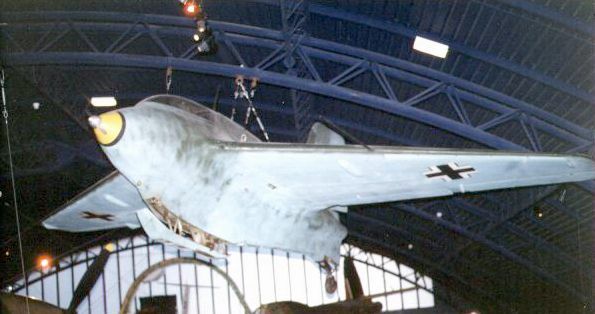 Nice view of the Komet hanging from the ceiling. The Komet appears to be in an overall good condition. The paint scheme is probably not original, but it nevertheless is fairly authentic.